Sadie Hoffmiller is looking forward to an entire week cruising the Alaskan wilderness with her two grown children, Shawn and Breanna, and her boyfriend, Pete. Not only will they all have the chance to get to know one another better, but Sadie will finally be able to help Breanna plan her upcoming wedding. They board the ship with high expectations of a well-deserved vacation. And except for the mysterious woman on the ship that Shawn seems to know but will not discuss, and the fact that Breanna's future mother-in-law has already hijacked the wedding plans, and the unexpected death of a passenger in the middle of the buffet line, Sadie's vacation would have been perfect. As it is, Sadie will need all her investigative skills to navigate the deep waters of the mystery that is soon swirling around her family. Amid her growing fears for the future, Sadie must also come to terms with the fact that her role in the lives of her children is changing and that even the best laid plans can go awry when a secret gets thrown into the mix. Runtime 9 Hrs. 54 Min. This book takes place on a cruise to Alaska and we get to know more members of Sadie's family. What a great adventure and mystery! Wonderful read!! I would recommend this book to all adults and young adults, you will love it! I thought this book was great. It was fun getting to know Sadie's family a little more. I loved all the twists and turns the story took. It is one of those that keep you guessing. A must to add to your collection. If you're considering taking a cruise, this probably isn't the book to read. Sadie Hoffmiller is looking forward to bringing her busy family together--her daughter who is making wedding plans, her son who is more busy than ever with school, and her boyfriend, who has just retired. Sadie believes it will be the perfect trip for everyone to spend time with each other. But when her son, Shawn, is unusually late in joining them at the first meal, Sadie goes searching for him, and finds him in a heated discussion with a woman Sadie has never met. 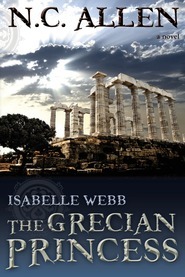 This begins a series of strange events that Sadie must unravel. One surprise leads to another until it becomes apparent that a couple of tragic events on the cruise are not so innocent. 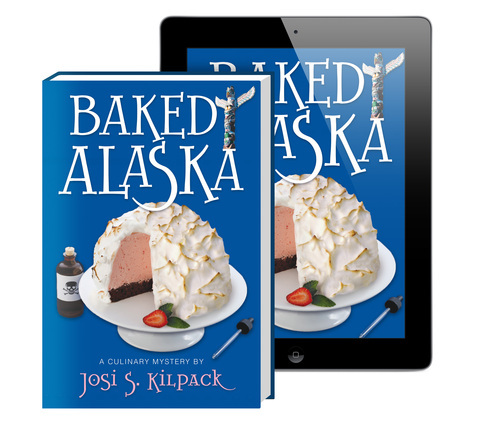 Plenty of intrigue, many unexpected twists, and signature Sadie... all rolled into one with BAKED ALASKA. If you're not a fan yet, you will be after reading this book. Come sail away with Sadie Hoffmiller, as she cruises along to a new mystery! Come sail away with Sadie Hoffmiller, as she cruises along to a new mystery. Sadie is on a cruise with her boyfriend, Pete, and her children, Breanna and Shawn. This "fun" family vacation soon turns into anything but fun. Sadie's son Shawn has been keeping a secret from his Mom. This secret has followed then to Alaska and turns their lives upside down. I was thrilled to read about an Alaskan cruise. This is the cruise that I have wanted to go on for years. How exciting to read about the places and adventures that I have been dreaming about! After reading the whole series now (Books 1-9), this has to be one of my favorites. For one, this is the book where we really get to know Pete, Sadie's boyfriend. Sadie is in her late 50's and has found a great love. Readers will truly see how devoted this couple is to each other. We also spend more time getting to know Sadie's children, Breanna and Shawn. I liked how more personal this book felt. 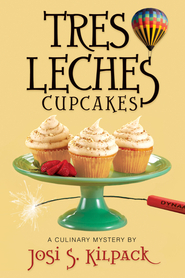 Once again we are bedazzled by all of the great food/recipes that are talked about and eaten in this book. I have been so inspired by all of Sadie books I have been reading, that I made homemade bread and Lasagna tonight for my family. As with all of the books in this series, there are many twists and turns that keep you hanging until the end. Josi's writing keeps you involved in the story, and not wanting to put the book down until the last paragraph. I know that each of these books can be read on their own, but I highly suggest reading them in the order that they were written. My reasoning for this, the more you read about Sadie, the more you feel like you are revisiting an old friend. Each book has drawn me more and more into the character and her life. 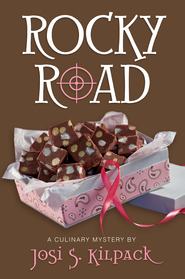 I can't wait until I can visit once more with Sadie in Rocky Road this Fall. Each book has been better than the last, and this one is my new favorite! Just when I thought I had things figured out, there was a new twist! 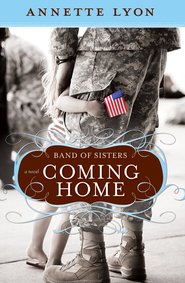 I loved it from start to finish - I couldn't put it down! It was fun getting more familiar with the members of the family, mixed in with the intrigue of the story. This book was the best yet! Make sure to read clear to the end for an even sweeter twist in the story! You will laugh, you will sweat, you will cry, you will cheer! I LOVED, LOVED, LOVED IT! My thoughts: this book reads different than the others. Usually there’s one big mystery that takes the whole book to figure out. This is set up a bit more like several short stories all about the same people at the same time. I thought I knew what mystery needed to be figured out, but then it’s done by page 50. A few more pages twiddling my thumbs, and then I find a new mystery! But actually, that was great! My least favorite thing about a short story is it’s always just long enough to make me ticked when it ends. This way, it’s like it keeps on going. Aww. But that’s not as fun as the end! Anyway, it rocked. Another quick, fun, clean read. 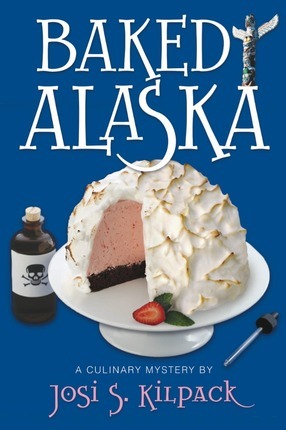 I always looks forward to Sadie's next adventure...and just finished Baked Alaska. What a great read! The cruise fun and family time were a great combination. 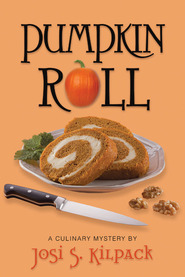 Josi always draws me in and never disappoints....always a page turner - and Sadie's recipes have become family favorites!